8: 00 – 8:45 pm: JOHN CARPAY, Executive Director of the Canadian Constitution Foundation will join us to further talk about the issues involving Free Speech. 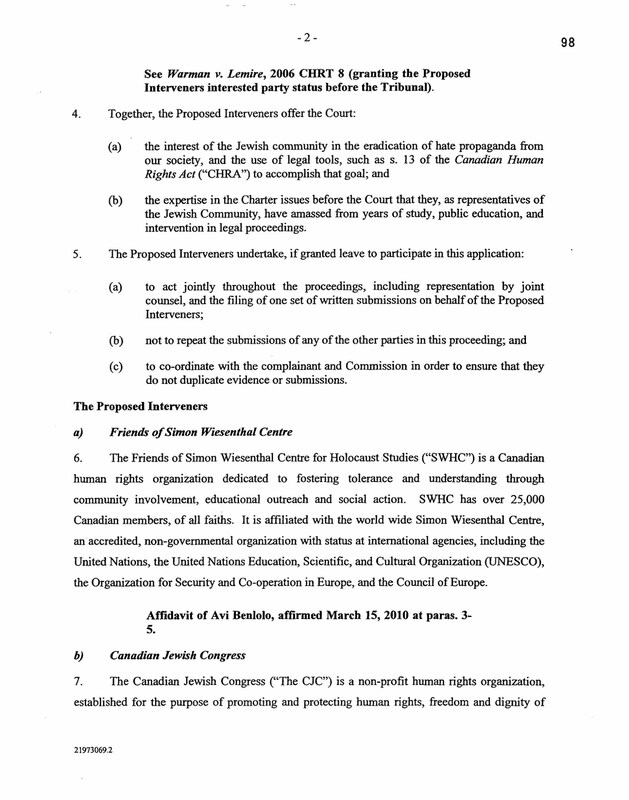 The Foundation has been instrumental in securing a number of VICTORIES involving Free Speech that are now going to be appealed. Visit their website for details on these court cases. 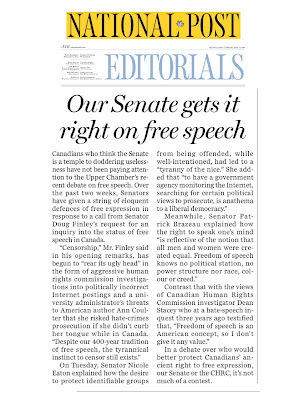 Canadians who think the Senate is a temple to doddering uselessness have not been paying attention to the Upper Chamber's recent debate on free speech. 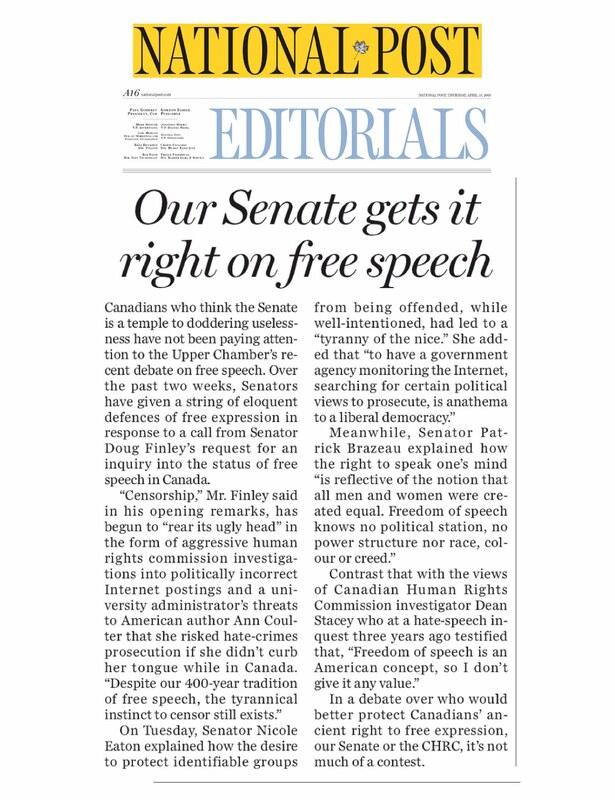 Over the past two weeks, Senators have given a string of eloquent defences of free expression in response to a call from Senator Doug Finley's request for an inquiry into the status of free speech in Canada. 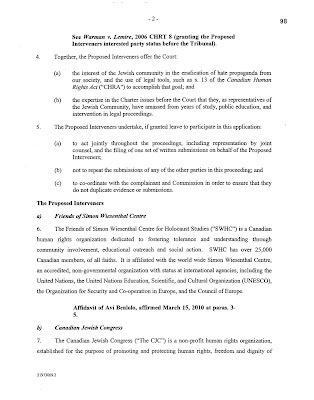 "Censorship," Mr. Finley said in his opening remarks, has begun to "rear its ugly head" in the form of aggressive human rights commission investigations into politically incorrect Internet postings and a university administrator's threats to American author Ann Coulter that she risked hate-crimes prosecution if she didn't curb her tongue while in Canada. "Despite our 400-year tradition of free speech, the tyrannical instinct to censor still exists." On Tuesday, Senator Nicole Eaton explained how the desire to protect identifiable groups from being offended, while well-intentioned, had led to a "tyranny of the nice." 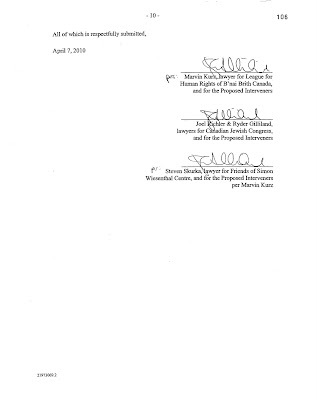 She added that "to have a government agency monitoring the Internet, searching for certain political views to prosecute, is anathema to a liberal democracy." Meanwhile, Senator Patrick Brazeau explained how the right to speak one's mind "is reflective of the notion that all men and women were created equal. Freedom of speech knows no political station, no power structure nor race, colour or creed." 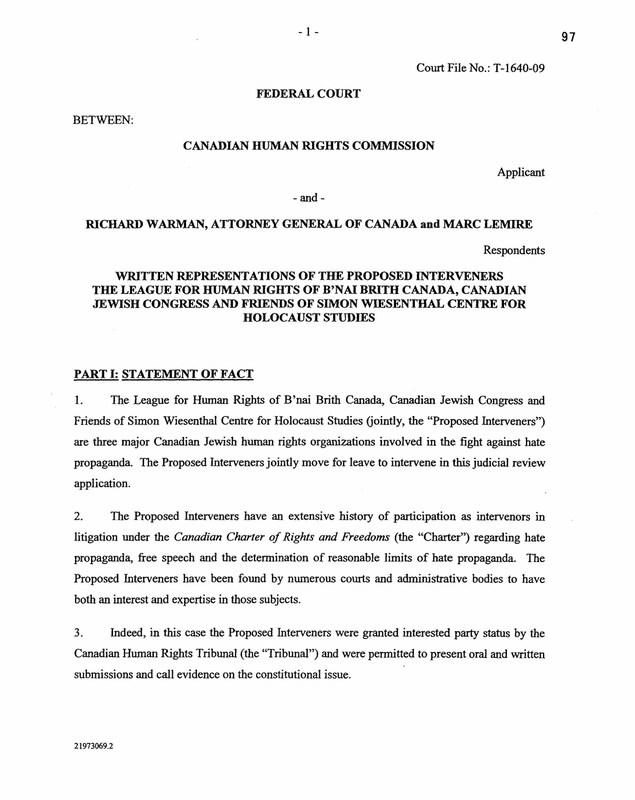 Contrast that with the views of Canadian Human Rights Commission investigator Dean Stacey who at a hate-speech inquest three years ago testified that, "Freedom of speech is an American concept, so I don't give it any value." 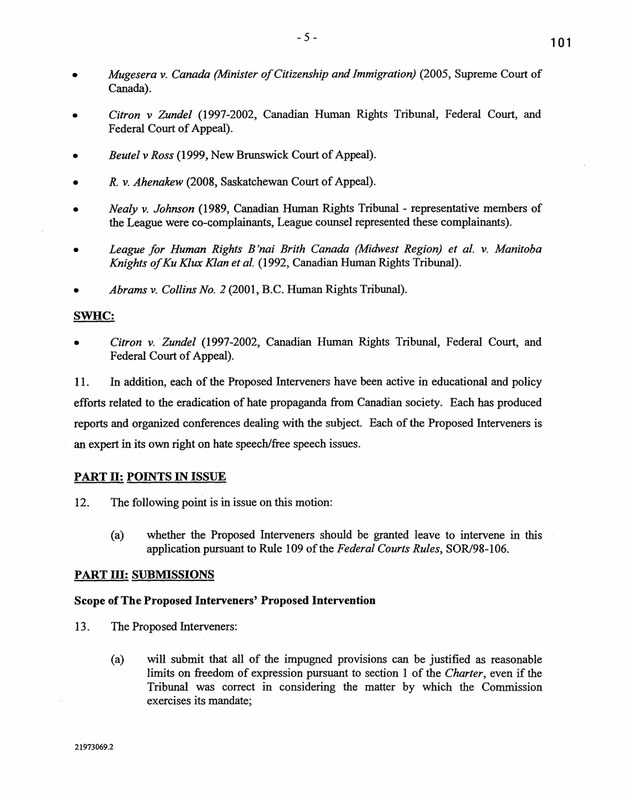 In a debate over who would better protect Canadians' ancient right to free expression, our Senate or the CHRC, it's not much of a contest. 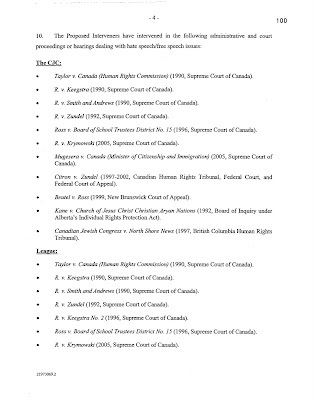 This Thursday April 8, 2010 controversial lawyer, political activist and General Counsel of the Canadian Free Speech League Douglas Christie is to give a speech inside the University of Ottawa administration building, Tabaret Hall. 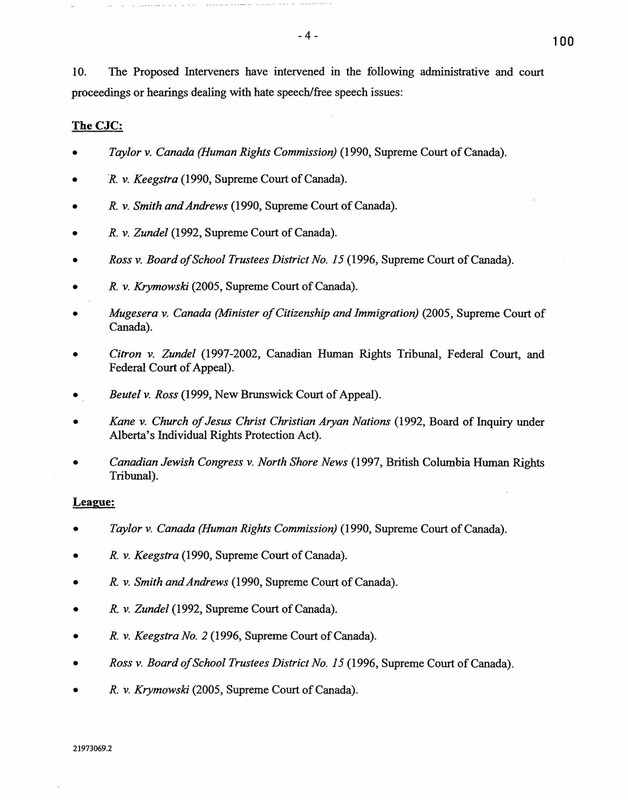 Christie is well known for acting as legal counsel in the notable case of R. v. Finta, Canada's first and only war crimes trial, and Christie has appeared in the Supreme Court of Canada in the defence of freedom of speech more times than any other counsel in Canada. Christie will be speaking to the issue of freedom of expression on Canadian university campuses. 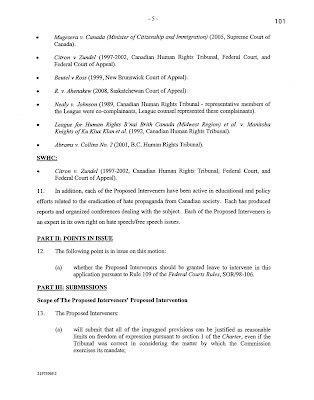 Only two weeks after right-wing American commentator Ann Coulter’s speech at the University of Ottawa was cancelled, and one week after Senator Finley opened an inquiry into the erosion of free of speech in Canada, it is unclear how Doug Christie will be received by the University of Ottawa community. Doug Christie will speak in Tabaret Hall, 550 Cumberland in Ottawa on Thursday April 8 at 1:00pm. The event will be open to all members of the public and to the media. 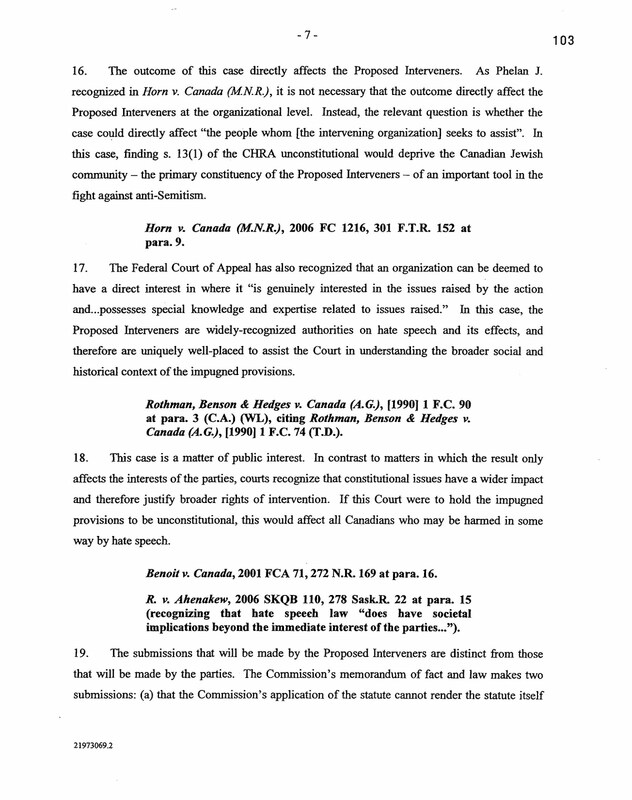 On April 8, 2010, a precedent-setting case regarding internet law will be heard in the Ontario Divisional Court, at 161 Elgin St. in Ottawa. 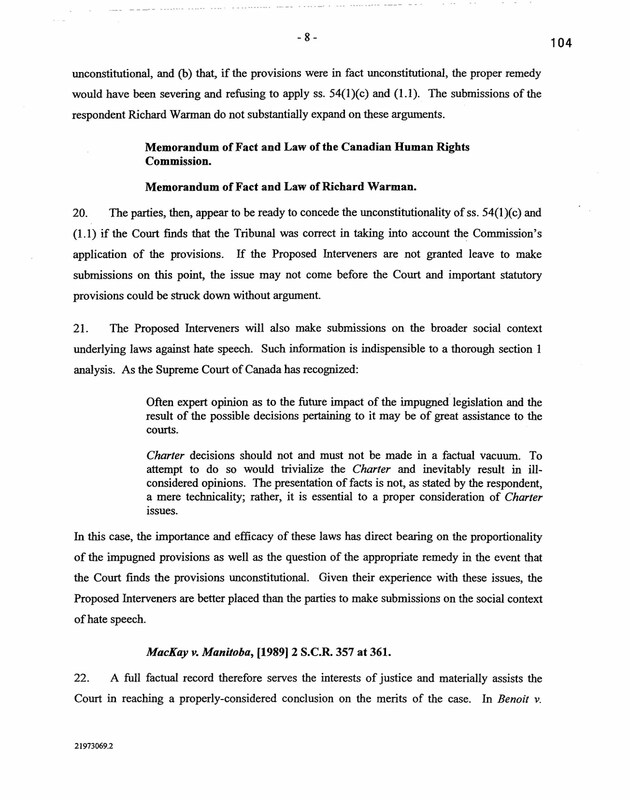 The case is an Appeal of a lower court motion decision in the case of Warman vs Fourniers and John Does. 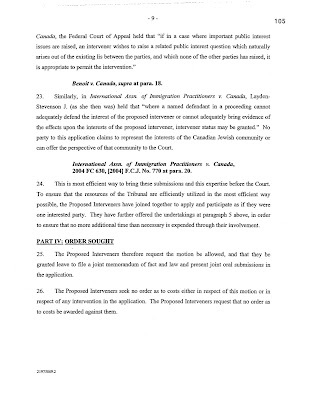 The ruling being appealed stated that the defendants were to turn over personal information such as IP addresses and email addresses for anonymous posters who were alleged to have defamed the plaintiff. 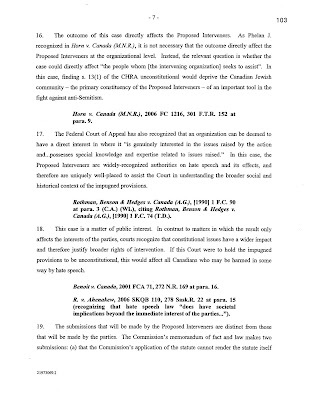 The defendants' position is that online anonymity should be protected until it is clear that there is a strong case that a "John Doe" has broken the law. People post anonymously for many reasons. They discuss politics, spiritual issues, health problems and relationship problems under pseudonyms. Revealing the true identities of the people behind these usernames is an unspeakable invasion of their privacy, and should only be done when it is absolutely necessary. It should never been done simply because someone makes an accusation of libel. 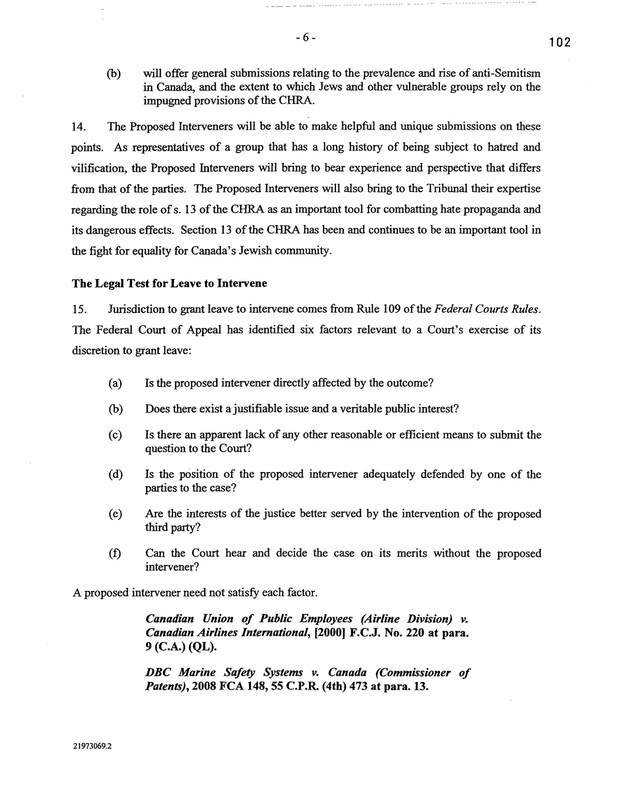 Intervening at the hearing will be the Canadian Civil Liberties Association, [CCLA Factum here] and the Canadian Internet Policy and Public Interest Clinic. [CIPPIC Factum] Both of these organizations will be arguing that there is a duty to protect online anonymity, and that is it not addressed in the law, as it currently stands. The issues in this appeal have far-reaching implications for people who post anonymously on the internet, and for forum and blog owners who have a duty of care when it comes to the private information of their posters. 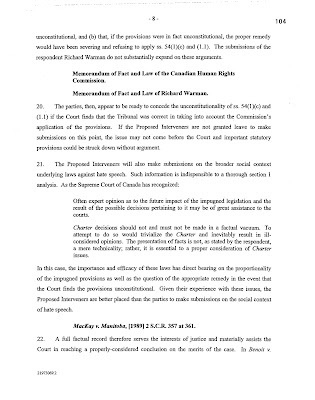 The internet is changing the way we live our lives in Canada, and this case will be one of the first to address the changes that need to be made in our laws to accomodate new technology. 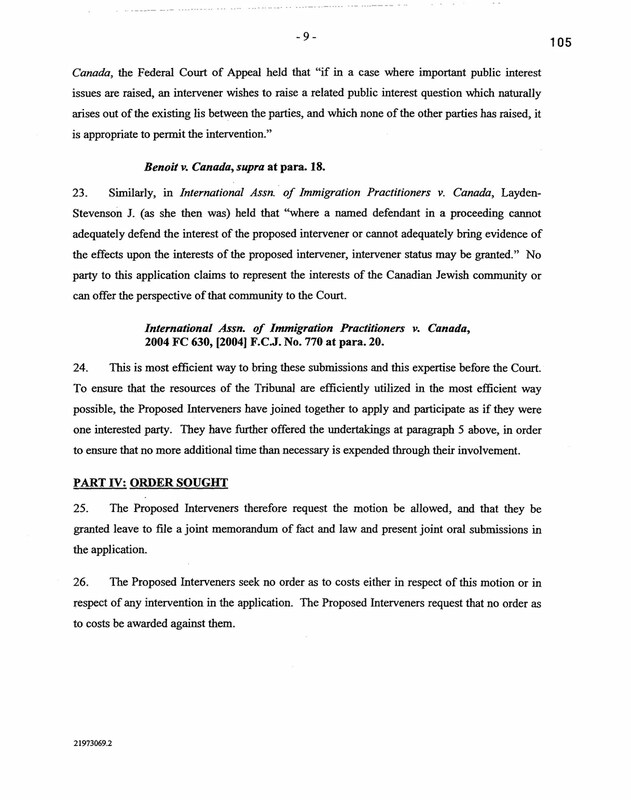 On September 22, 2009, the Ontario Superior Court of Justice granted CCLA leave to intervene in the case of Warman v. Fournier and John Does 1-8 (Court File No. 09-DV-1512). 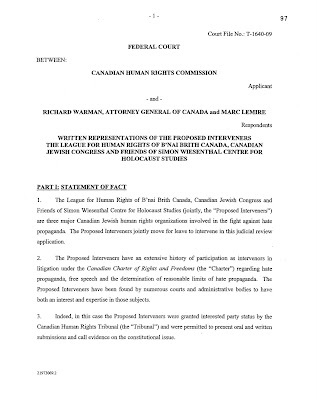 The case arises from a lawsuit which alleges that some anonymous comments made on an Internet discussion forum are defamatory. 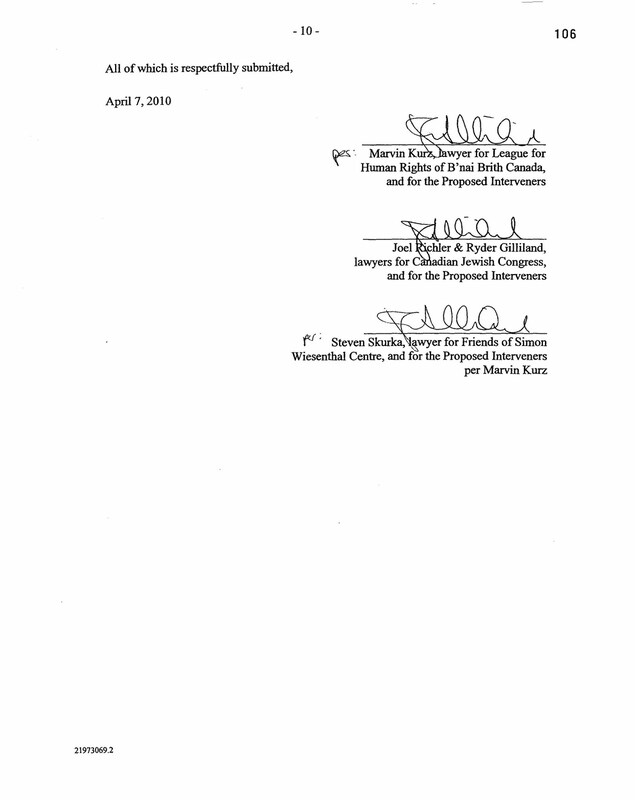 The website operators, as well as eight “John Doe” commentators, are named as defendants. The Court will be asked to decide the circumstances under which a website operator can be forced to turn over information that would ‘unmask’ anonymous forum commentators. 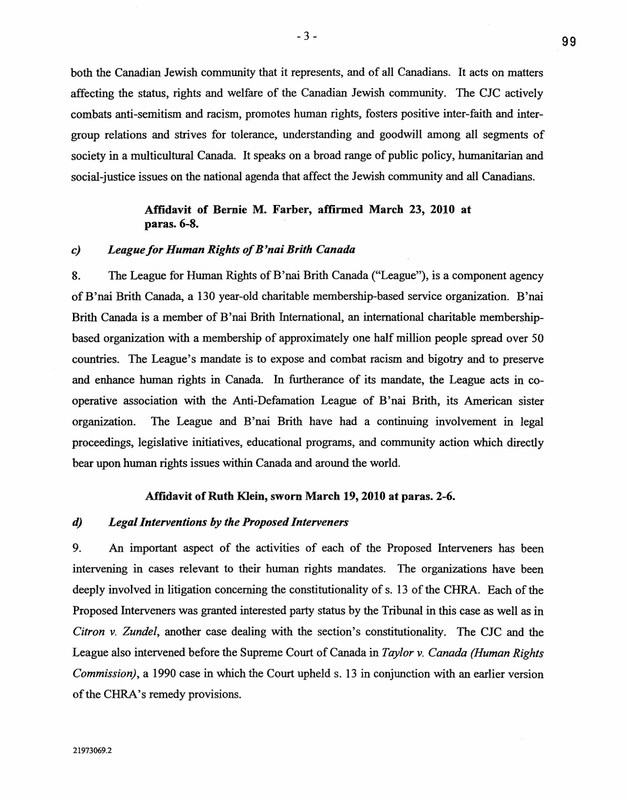 CCLA believes that, while the Internet should not be used as a shield to allow individuals to break the law, neither should a simple request to the Courts result in the disclosure of identifying information. Highly personal communication occurs online. Indeed, many use online anonymity as a way to explore difficult issues (political, legal, sexual, medical, etc.) that they might not feel free to explore publicly. The Internet is a highly accessible democratic forum, with virtually limitless opportunities for discussion and debate. 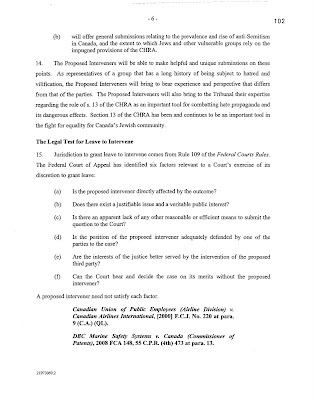 Court orders that force individuals to reveal the identity of those who choose to participate anonymously could well chill this rigorous discussion, particularly on sensitive personal topics. Anonymity on the Internet should not be compromised simply because a private individual has filed a statement of claim. 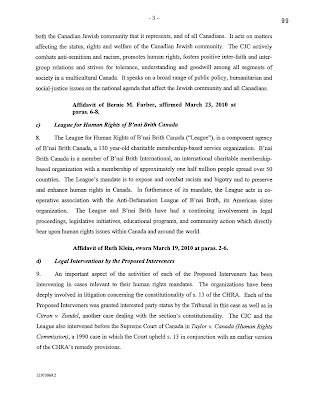 To read CCLA’s factum click here.